Sometimes, the homeowner dictates what a house needs, but occasionally — if the owners are paying attention — the house itself seems to be the guiding force. This was exactly the case with the Seraphim House. 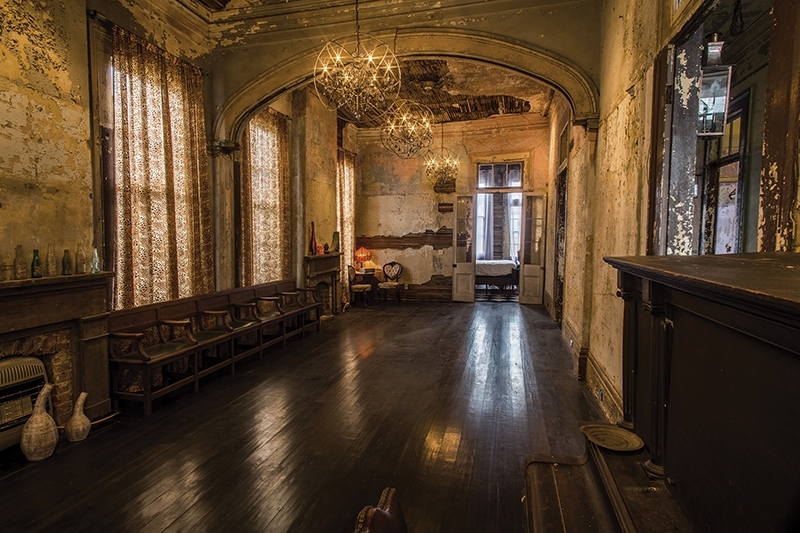 Built in the 1860s by Seraphim Maspereau, a free woman of color, the Seraphim House is truly a step back in time. Located in the Tremé neighborhood, off of Esplanade Avenue, the house was meticulously renovated back to its original glory in 2015 by the current owners. Their intention was to bring entertainment and revelry back to the space, which was the scene of many spirited soriées thrown in the 19th Century. The grand ballroom is the home’s pièce de résistance. This vast, open space off the center hallway is a prime location for the ceremony. Defined by chipped, mismatched paint, striking round chandeliers and wood accents, the room can accommodate approximately 85 to 90 seated and up to 100 standing room. In addition to the main area, the owners renovated the back courtyard with hand-placed stones, a pool and a gazebo that can serve as an additional ceremony space if the couple is planning for a more intimate affair. The building’s elegantly tattered aesthetic, juxtaposition of antique accents and modern amenities, and the knowledge that your lively celebration would be what Seraphim Maspereau would have wanted, all add to the appeal of the location.